"I got my west coast kaleidoscope from Tara Johnston (@taraosprey) at Osprey Tattoo (@ospreytattoo) at AWP in 2014 while I was back home visiting Seattle. I got it with the poet Jess Poli, almost on a whim. I literally didn't see the tattoo until the morning of, and while the design wasn't able to fit in my original spot (on my elbow) I loved it too much to compromise. Getting into grad school was the first time I'd lived outside of Washington state for longer than six months, so I needed something from home to always carry with me. I don't know what it is, but the mountains and pine and fir have always just been a comfort-- all that green, all that protection. I get to carry home with me, no matter where I go. And when people ask me about it, I can name all the mountains in the region, until I run out of mountains or memory." 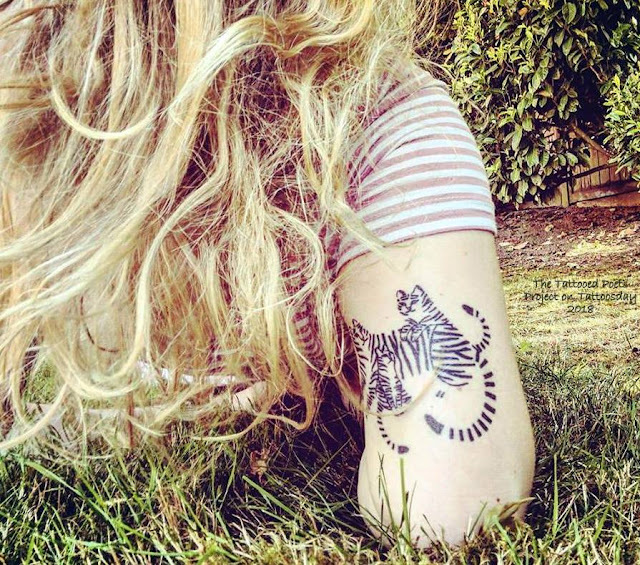 "My little tiger family was illustrated by Jen Collins, and when I got her permission I took the design over to Spiral Tattoo in Ann Arbor. 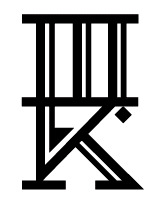 I just needed a tattoo, and a change, and something happy. I was in the process of losing a close friend, and I was letting this break up of sorts destroy me. Sometimes I tell people that two of the tigers are my closest friends, and that I'm the little one. Sometimes I say a lot of things. I just really love them. 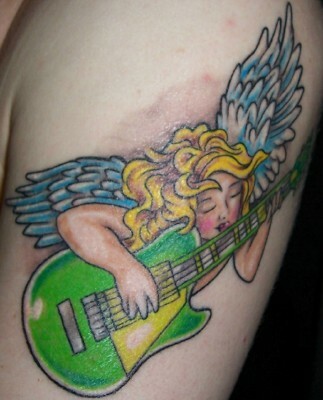 This tattoo really was more of a whim, as soon as I got permission from the artist, I was in the parlor!" 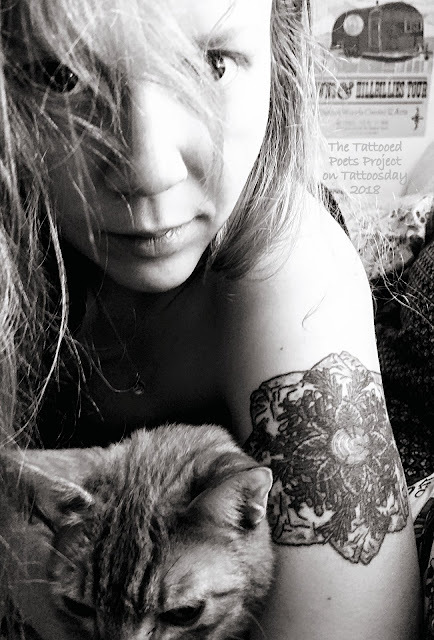 Thanks to Kat for sharing her tattoos and poetry with us here on the Tattooed Poets Project on Tattoosday!